Arkansas’ Prescription Drug Take-Back program provides a safe, easy and anonymous way to dispose of medications you no longer need. Safe disposal of expired or unneeded prescription drugs is the only way to protect your family, pets and the environment. Prescription drug overdose deaths are the leading cause of accidental deaths in the United States. In Arkansas, there were 411 drug overdose deaths in 2017. Arkansas ranks second in the nation for per capita opioid prescriptions, at 107 per 100 residents; the national average is 58.7 prescriptions per 100 persons. Most prescription abusers, especially teenagers, get the drugs from a friend’s or relative’s home. You can help change these statistics! Spring clean your medicine cabinet and drop off unneeded or expired drugs at a secure Take-Back location. Attend an Arkansas Prescription Drug Take-Back Day event. They are held every fall and spring in Arkansas. The next Take-Back event will be 10 a.m. to 2 p.m., Saturday, April 27. It will include more than 250 locations across the state. Drop-offs can be made with no questions asked or identification required. The prescription medications will later be counted for statistical purposes and destroyed at a facility in an environmentally safe manner. This year, the Take-Back event has a new emphasis to increase the use of life-saving naloxone kits. A new app – nARcansas – will be launched April 27. This free app is an opioid-overdose resource tool that will help you administer the drug naloxone in case of an opioid overdose. It also gives the steps on how to save a person’s life in the event of an opioid overdose. Naloxone is a medication used to reverse the effects of an opioid-induced overdose. It should only be used in an emergency and has no effect on non-opioid overdoses. Arkansas Drug Director Kirk Lane says this year’s theme is “I can. You can. We can. Save a life with Narcan!” Lane says Narcan has saved 243 lives in Arkansas this year. Arkansas’ Drug Take-Back Day events also provide education about numerous topics related to the opioid epidemic, drug abuse treatment and prevention strategies for families, organizations and local governments. Last year in Arkansas, nearly 300,000 pounds of unneeded prescription drugs were collected and disposed of safely. Permanent, secure drop-off locations, including most law enforcement agencies, provide a secure drop box, like an after-hours bank deposit, that’s available 24/7. You can anonymously drop off as many unneeded medicines as you want. This simple act may prevent drug misuse, overdose or even death. Pollute our drinking water. Leftover medicines are toxic, hazardous chemicals that are not safe in sewage systems or landfills. When discarded drugs get into the ground water, streams and lakes they leak into our sources of drinking water. Wastewater treatment facilities are not capable of removing all traces of drugs that have been flushed down into the sewer. Most drugs can pass through treatment plants and contaminate our surface, ground and marine waters. About 80 percent of streams in this country contain small amounts of human medicines. Increase the risk of drug exposure by crushing pills. This method puts you at risk of drug exposure through skin contact or breathing in the dust. Many drugs are designed to release slowly. Crushing them can release a dangerously high dose. Pill dust can endanger other family members – especially children and women of childbearing age – and pets. Can be taken by people who shouldn’t have them – curious children, visitors or teenagers looking for a “buzz.” Most (66 %) prescription drug abusers, including teenagers, get the drugs from a friend’s or relative’s home. About 42 percent of teenagers report they have misused or abused a prescription drug from their parents’ medicine cabinet. Can cause accidental poisonings of children, elderly people or pets. Trash disposal is not secure for narcotics and other addictive drugs. Even if you crush drugs, their chemical and biological activity is still present, and they can pollute our soil and water. Trash disposal that ends up in a landfill only pushes the environmental problem to future generations. The Animal Poison Control Center reports about 35,000 cases annually of pets poisoned by medicines. Check your medicine cabinet. You may have leftover prescription medicines because your doctor stopped or changed a prescription. Or, they may be left over after a serious illness, surgery or after the death of a family member. 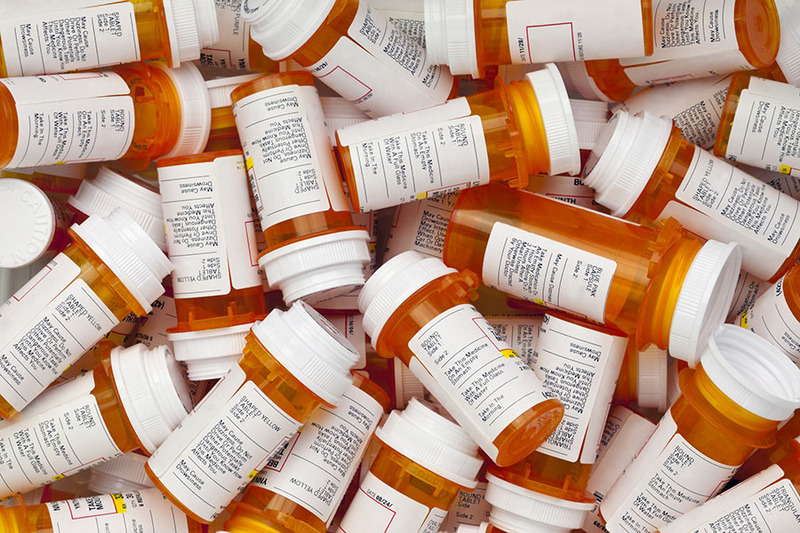 About a third of all purchased prescription medicines are not used. Don’t let your home contribute to the epidemic of medicine abuse and overdose deaths. The safest way to store medicines is in a locked medicine cabinet in a room that is not subject to steam or other moisture. Are your medications easily accessible by other people in a bathroom cabinet, drawer, or lying out on the counter? Can your medications be pilfered through if you leave the room for a few minutes? Safe storage also means keeping track of medicines and monitoring the amounts you are storing. Count pills or make a mark on liquid containers. Keep track of refills. Refilling medicine more often than expected can indicate a problem. Don’t ignore warning signs such as bottles tampered with, pills missing or drugged behavior of someone in your home.